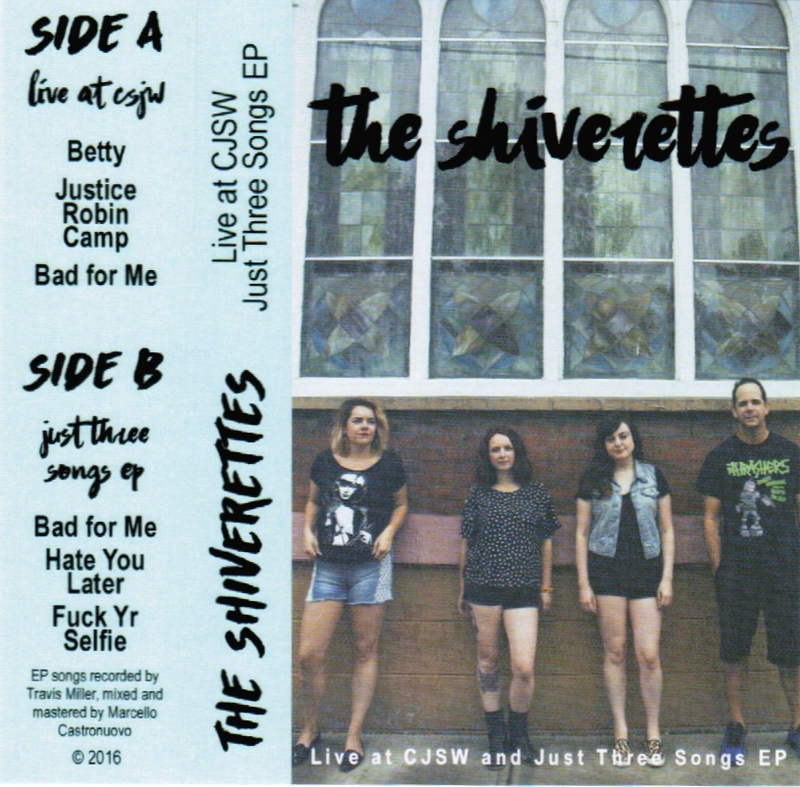 We were so excited when we saw that the Shiverettes had another tape that we didn't really pay attention to the fact that it was partly just a repackaging of their tape from late last year. But we love the Shiverettes so much, we're going to ignore that minor issue. The band has capitalized on the excellent work that CJSW has been doing with their live sessions and released a set they up at the radio station earlier this year. The highlight on here is "Justice Robin Camp," their anti-tribute to the shame of Canada;s judicial system. It's a spectacular piece of garage rock, with Hayley Muir's menacing growl playing off perfectly against Kaely Cormack's bubblegum shrieks. Oh, yeah - we also should have pointed out that one of those live tracks is also a song from their other tape. 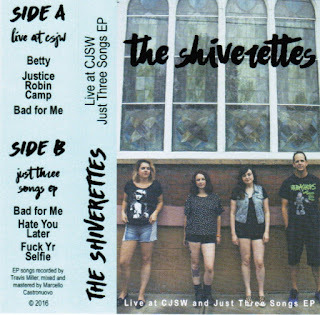 Even still, this is well worth grabbing from the Shiverettes' bandcamp or your local record store.